Offer condition: 35% off the most expensive full price item with code 8075. Offer valid until 23/04/2019 at 11pm GMT. Goods supplied are subject to our terms and conditions. We may restrict or refuse orders. Vertbaudet UK Limited, Elder House, St Georges Business Park, 207 Brooklands Road, Weybridge, Surrey KT13 0TS. Offer condition: "25% off full price items and Free delivery with code 8065. Offer only valid for new customers, on their first order. Offer valid until 30/04/2019 at 11pm GMT. Goods supplied are subject to our terms and conditions. We may restrict or refuse orders. Vertbaudet UK Limited, Elder House, St Georges Business Park, 207 Brooklands Road, Weybridge, Surrey KT13 0TS. " Offer condition: Offer not valid on Vertbaudet’s Happy Price items, Green Star products, Schoolwear Collections and already discounted items. Do not miss another Verbaudet voucher! Simply leave your e-mail address and we'll always keep you informed of new vouchers for Verbaudet. 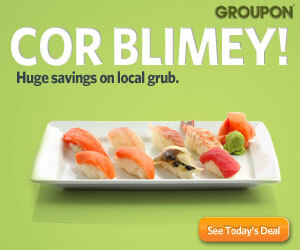 Offer condition: "22% off full price and discounted items with code 8025. Offer valid until 26/03/2019 at 11pm GMT. . Goods supplied are subject to our terms and conditions. We may restrict or refuse orders. Vertbaudet UK Limited, Elder House, St Georges Business Park, 207 Brooklands Road, Weybridge, Surrey KT13 0TS. " Offer condition: "25% off full price & discounted items with code 4025. Offer valid until 17/03/2019 at 11pm GMT.Goods supplied are subject to our terms and conditions. We may restrict or refuse orders. Vertbaudet UK Limited, Elder House, St Georges Business Park, 207 Brooklands Road, Weybridge, Surrey KT13 0TS. " Offer condition: New Customer Offer: 25% off full price items and Free delivery with code 8015. Offer only valid for new customers, on their first order. Offer valid until 03/03/2019 at 11pm GMT.Goods supplied are subject to our terms and conditions. We may restrict or refuse orders. Vertbaudet UK Limited, Elder House, St Georges Business Park, 207 Brooklands Road, Weybridge, Surrey KT13 0TS. Offer condition: Offer not valid on Vertbaudet's Happy Price items, Green Star products, Schoolwear collections and already discounted items. Offer condition: "An extra 10% off discounted items with code 8154. Offer valid on 03/01/2019 from 1pm until 11pm GMT.Goods supplied are subject to our terms and conditions. Order codes remain our property; are non-transferable. We may restrict or refuse orders. 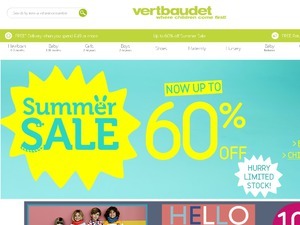 Vertbaudet UK Limited, Elder House, St Georges Business Park, 207 Brooklands Road, Weybridge, Surrey KT13 0TS "
Offer condition: " New Customers Offer : 25% off full price items and Free delivery with code 8124. Offer only valid for new customers, on their first order only. Offer valid until 02/01/2019 at 11pm GMT. " Offer condition: 30% discount on full price items. Enter Order Code 8104 at the checkout to receive 50% off selected items while stocks last and 30% off full price items. Free standard delivery when you spend £60 or more. Exclusions apply. Offer condition: "30% off full price items + free delivery with code 8094. Offer valid from 20th November 2018 until 22nd November 2018 at 11pm GMT. Goods supplied are subject to our terms and conditions. We may restrict or refuse orders. Vertbaudet UK Limited, Elder House, St Georges Business Park, 207 Brooklands Road, Weybridge, Surrey KT13 0TS. " Offer condition: "35% off the most expensive full price item with code 8064. Offer valid from 31st October 2018 until 18th November 2018 Goods supplied are subject to our terms and conditions. We may restrict or refuse orders. Vertbaudet UK Limited, Elder House, St Georges Business Park, 207 Brooklands Road, Weybridge, Surrey KT13 0TS. " Offer condition: Cheapest item is free. Offer condition: "10% off full price items with code 8084. Offer valid from 22nd October 2018 until 30th October 2018 Goods supplied are subject to our terms and conditions. We may restrict or refuse orders. Vertbaudet UK Limited, Elder House, St Georges Business Park, 207 Brooklands Road, Weybridge, Surrey KT13 0TS. " Offer condition: Verbaudet may restrict or refuse orders or substitute gift. Only 1 gift per customer. Goods supplied subject to our terms and conditions. Order Codes remain our property; are non-transferable and for single use only; and cannot be used with other offers.Free standard delivery when you spend £60 or more, a saving of £3.99. Offer condition: Free standard delivery when you spend £60 or more. Offer not valid on Vertbaudet's Happy Price items, Green Star products, Schoolwear collections and already discounted items. Award-winning Designer Maternitywear, Breastfeeding clothes and New Baby Gifts.